DieHard Cricket Fans: Can a team afford to have a specialist captain ? Can a team afford to have a specialist captain ? The Australians did really well in the WT20 2010. It is an tremendous improvement over their past record in this tournament. But although they have done really well this time around, one real negative from this tournament for them has been the batting of their captain, Michael Clarke. Coming into the WT20, he had a lot to prove as a T20 batsmen. Although he has proved himself in the other forms of the game, he has never really flourished in the shortest format of the game. Given this record, one can't imagine a batsmen in an international team and that too in the Australian team. Of course, he has been groomed over a period of time to take over from Ponting once he retires but captaincy alone cannot be a criteria for selection. Specially when you have the likes of Cameron White in the team who not only has an excellent record in the T20s as a batsmen but also as a captain. 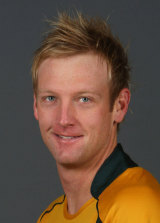 Infact he is one of the best batsman and captain in the T20 cricket's short history. 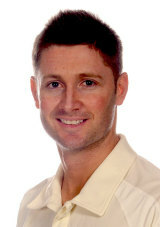 He has an excellent record as captain of Victoria and Somerset. Also he has much more experience than Clarke in T20s. But the real good thing is that Clarke has openly accepted his shortcomings and said that he is not going to take anything for granted. But for now, he should be relieved from his duties until he proves himself in this format of the game and the captaincy should be handed over to White.